SPONSORS NEEDED. If you are interested in becoming a sponsor, let us know. All Ticket Request Forms returned by March 23rd are eligible for a Remington 870 Express 12 Ga. drawing. No-Host Cocktails starting at 5:00 PM, a delicious Daryl Biechler Prime Rib or Grilled Chicken Dinner, Great Prizes, a variety of Raffles, enjoyable Auctions, some new and different games for Adults and kids, and camaraderie with fellow hunters and friends. Over 50 guns will be given away at the Banquet. Tickets $60 in advance and $65 at the door. Spouse / Youth Tickets $30 in advance and $35 at the door. Featured Banquet Auction Items. Check back frequently as more items will be added as the banquet nears. To request tickets, call Ed Mittvalsky @ 563-542-2413, email the ticket coordinator at tickets@dubuquepheasants.com or download order form, complete and mail. Questions, suggestions, comments, etc. regarding the Banquet, call Tim Fiedler (563-582-8632). We led the purchase of several land parcels near Oxford Junction in both 2017 and 2018 which combined for 508 acres of Public Hunting. This Oxford Junction land acquisition followed our purchase of 96 acres, Leifker Wildlife Area, south of Cascade, that opened for public hunting in Fall 2016. These purchases compliment previous land acquisitions at Whitewater Canyon, near Bernard, Iowa and Ringneck Ridge, near Worthington, Iowa. We continue to evaluate new sites for public hunting in our local area. In addition to our local chapter projects, we provided funding to nearby Buffalo Creek and Volga River land projects in 2018. 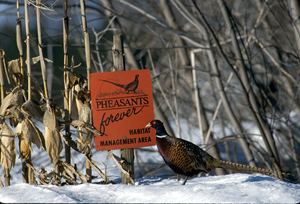 Improve and upgrade habitat on public and private land. Enhancements include seed donations, food plots, controlled burns, tree/shrub plantings, and winter cover plantings. Co-Host the Annual Heritage Classic Youth Day at Izaak Walton. This free event attracts over 120 youths, ages 10-16, to experience gun safety, shotgun and rifle shooting, fly-fishing, dog training, archery, and more. Host our Annual Mentored Youth Hunt at Ringneck Ridge. 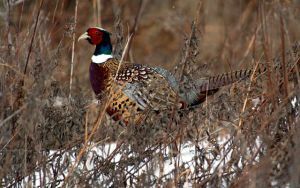 This free event provides 20 youths a pheasant hunt experience. Supported and donated guns for Hunter Safety Education, local High School Trap Teams, and area Sport Camps. Co-Host both the winter and summer local Becoming an Outdoors Woman (BOW) programs. Host the 5th Annual Veterans Hunt. This event provided a free pheasant hunt for 85 local Veterans. 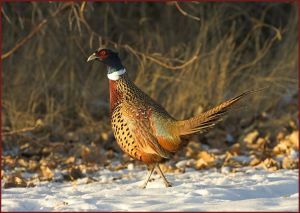 Check out our web site (www.dubuquepheasants.com) to see more examples and photographs of how your support helps continue programs of habitat development, land purchase for public hunting, youth hunting activities, and conservation.